The Nike Air Foamposite Pro “Vachetta Tan” is an upcoming Foamposite Pro colorway that features the ever so popular Vachetta Tan upper and bronze swoosh. 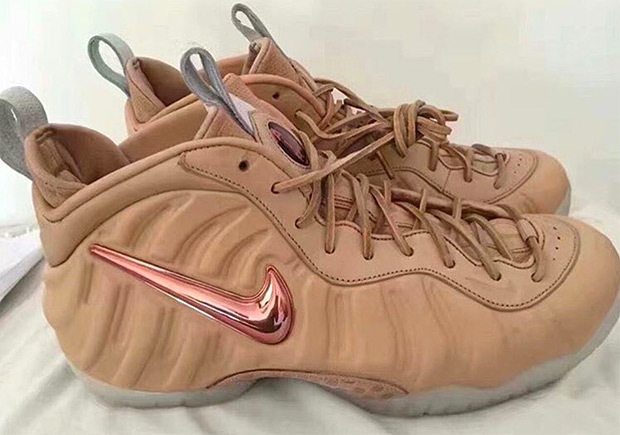 Fitting with the current trends, the Nike Air Foamposite Pro “Vachetta Tan” will be the first colorway to feature the look, alongside the return of the jewel swoosh that hasn’t been seen for a long time. Further details include a leather carbon fiber shank and milky outsole. Stay tuned with Modern Notoriety for more news on the Nike Air Foamposite Pro “Vachetta Tan”.